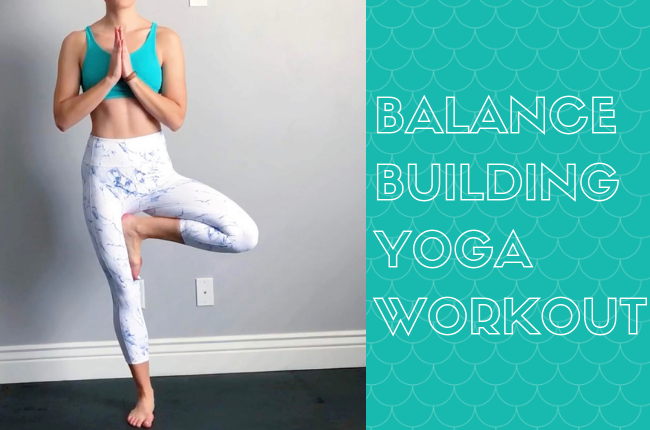 Balance is a key component of any well-balanced fitness routine. Having balance and stability is SO important for proper movement and can help with injury prevention. Check out my Instagram post below for some of my favorite moves to help improve balance and core stability! I’m no pro yogi, I’m still practicing, but I LOVE challenging my body to see what it can do. With this yoga workout, start slow and find your breath. It helps to focus on one point on the ground or wall. And don’t forget to just have fun with it! Balance and stability are SO crucial but that doesn’t mean it can’t be fun. If you like my outfit (it’s from Kiava Clothing, they have all my favorite workout clothes) use code fitandwell to save!